Here are some basic tutorials I created for Maya. Let me know what yo9u think of them. Here is a series of videos that show the modeling of a plastic coke bottle, from beginning to end. The entire process took about three hours and forty minutes but I increased the playback speed on the mundane and redundant sections so the total playback time is around two hours and fifteen minutes. Hereis the link to my channel - be sure to enable annotations if you would like a description of what is happening. 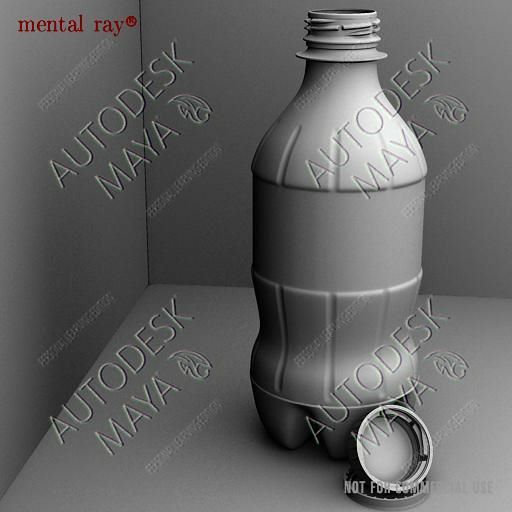 If anyone is interested in modeling a coke bottle on their own I have placed the images I used for the image planes in thisalbum. This is an animation pipeline tutorial for motion baking and integrating those assets to Maya and XSI. Animation specialty application used is called Messiah. Third party commercialised plugin = Point Oven = 100.00 USD. Thanks for all the links !!! Hey thanks for the fur tutorials, oddly i’m going to be working on something that might require it so definitely good timing on your part, thanks for that!!! In this tutorial I will explane you how to make meat grinder. Hy…I have a question and maby someone can help me. And I want to know the name of the training regarding the picture below Muscle Man. If anybody can help me withe the name of the training …maby i can find it on the net. Here is the picture location so you understand what i am talking about. The muscle training is from the video tutorials for Maya 2008 Extension 2. You can find it here. I know the video are there but i search the whole training that includs scenes and muscle model and all the staff.